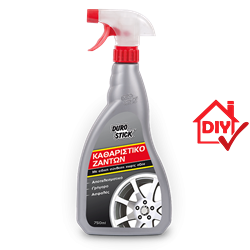 Rapidly cleans with a single spray metal and alloy rims as well as all wheel parts including plastic and metallic wheel hubs and even the tires themselves. Cleans, shines and protects from all the dirt and grime of the road and the brakes. Rinse with water after application.